From Crib to Crucifixion - From Manger to Murder. This very moving short video (just 4 mins) shows the life of Jesus from his birth at Bethlehem to the beginning of Holy Week - leading to his crucifixion and then the wonder and joy of his resurrection on Easter Day. "Mary Did You Know?" Click on the photo and allow a little while for it to open in YouTube. 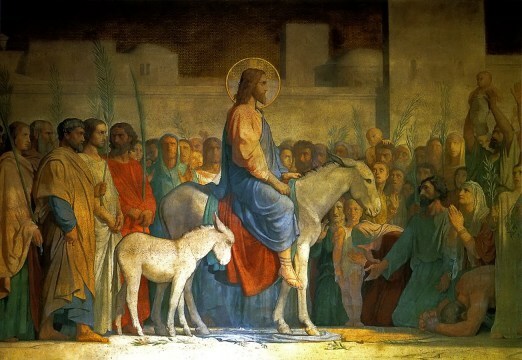 Palm Sunday commemorates Christ's triumphant arrival in Jerusalem to the cheers of the crowd. Later that week many of the people in that cheering crowd would be among those shouting that Jesus should be executed. Maundy Thursday is the Thursday before Easter. 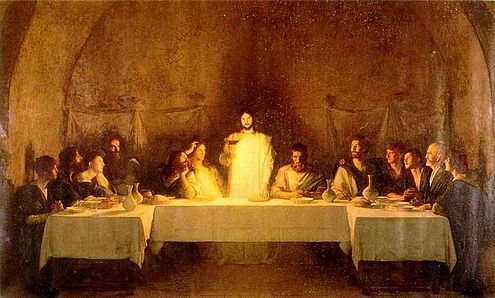 Christians remember it as the day of the Last Supper, when Jesus washed the feet of his disciples and established the ceremony known as the Eucharist. The night of Maundy Thursday is the night on which Jesus was betrayed by Judas with a kiss in the Garden of Gethsemane. Services; Gt Massingham 6.00 pm. and at Gayton 7 pm. . The most important events in Christianity are the death and later resurrection of Jesus Christ, who Christians believe is the Son of God, and whose life and teachings are the foundation of Christianity. Good Friday is the Friday before Easter. It commemorates the Passion: Jesus's death by crucifixion. Good Friday is a day of mourning in church. We are having a special Good Friday procession with the cross & during a special Good Friday service we meditate on Jesus' suffering and death on the cross, and what this means for our faith. Services: Grimston St Botolph, Grimston at 10.00 am. Great Massingham: service with the liturgy of the cross. 11.00 am. Services: Gayton Thorpe 3pm. A special Messy Easter service for children (and adults) followed by an Easter Egg Hunt. Adults can enjoy refreshments at the back of the Church. 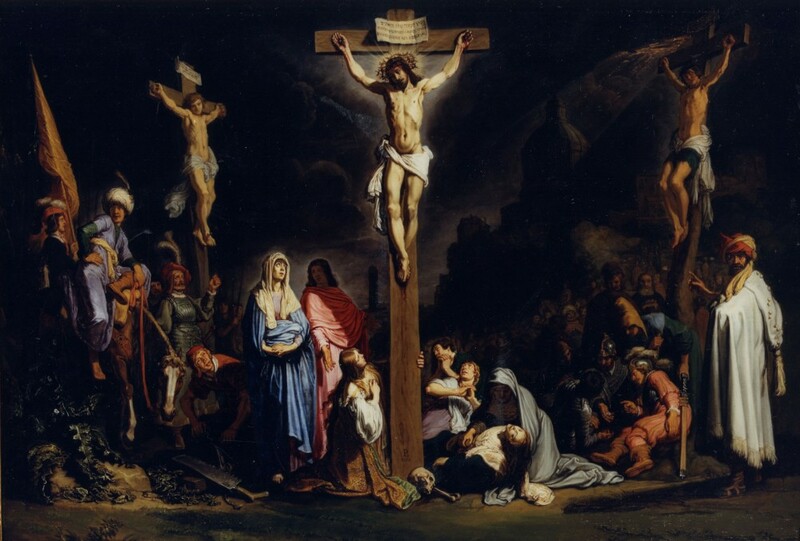 On Good Friday, Jesus Christ was executed by crucifixion. His body was taken down from the cross, and buried in a cave. 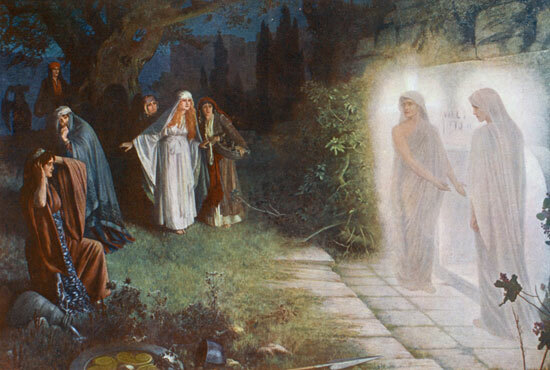 The tomb was guarded and an enormous stone was put over the entrance, so that no-one could steal the body.On the following Sunday, some women visited the grave and found that the stone had been moved and the tomb was empty. Jesus himself was seen that day, and for days afterwards by many people. His followers realised that God had raised Jesus from the dead. Easter then commemorates the resurrection of Jesus Christ. It is the most important Christian festival, and the one celebrated with the greatest joy. All Saints Church, Ashwicken a Sunrise Service at 05.45 am. Our Paintings are "Jerusalem " by Hyppolite Flandrin 1842, "Last Supper " by Dagnan-Bouverette 1896, "Crucifixion" by Pieter Lastman 1616, and "Resurrection Morning" by Herbert Schmalz 1856 - 1935.